Looking for land for farming? Whether for micro eco-farming or larger rural property enterprises, here we’ll cover numerous sources for finding farming land in the area of your dreams, for either purchasing or leasing. Plus, rare but legitimate free or very low-cost farming land as well as supposed “free land” scams to watch out for. Farmlink - a unique opportunity for finding farmland and rural property: Check out your state's Farmlink program (search "farmlink" & "your state"). Farmlink keeps track of generational farmers and ranchers who are ready to pass their farms on to the next generation to new farmers who don't have land, and they either don't have children to pass it on to, or their children aren't interested in farming and the farmers want to keep their land as farmland. Here's how Mary Embleton of the Washington State Farmlink describes the program, "We don't carry out transactions, just help do the linking. Many of the properties enrolled in our program are for lease or other type of tenure arrangement. 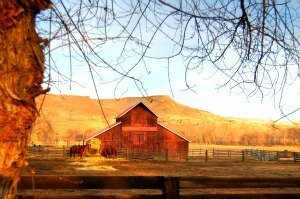 We have worked with some realtors in the past that were representing farm properties. 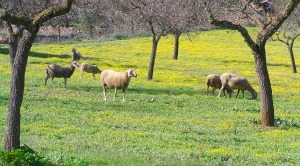 We have also had farmland owners looking to sell to aspiring farmers. They all take care of their own transactions. We do provide a variety of lease templates and are available to help foster those relationships." 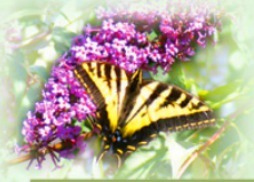 SharedEarth.com is a free service that matches people with land with people who want to garden. The gardeners trade part of their harvest and the obvious enrichment of the land as they sustainably farm it for use of the land to either provide for themselves or sell surplus. Watch out for very low-cost or free rural property scams that ask you to pay a fee for their “lists:” The USA really did once have a Homestead Act. U.S. citizens could secure up to 160 acres of open land if it was continuously lived on and cultivated for five consecutive years. The homesteader had the option to buy the land after six months from the government for $1.25 per acre. After a successful five-year residency and a $15 filing fee, the homesteader received clear title to the land. The Homestead Act was finally repealed in 1976 except for Alaska (1986). Don't pay for publications that will tell you about this "secret." It's over. And it was never a secret. 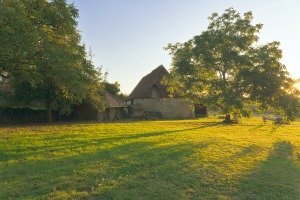 Legitimate free or almost free rural property does exist: Because of the many scams, you'll find comments that understandably state there is no free property. But the non-profit Center for Rural Affairs - started by farmers and operated for farmers -- has announced that small towns and counties in rural areas of the country have started programs offering free or almost free rural property in an effort to reverse rural depopulation. They are trying to entice people to relocate to rural properties in a variety of ways. While some only offer rural lots, which can be ideal for micro eco-farming, others offer rural acreage which may be usable for more expanded small scale farming ventures. While the sources are legitimate, there is still a lot of fine print to look over and thoughtful decisions to make regarding if these locations can meet your needs. These offerings can come and go. Check the Center for Rural Affairs to see what's currently happening in the area you're interested in, and if there is no current offering, ask if there may be in the near future. But beware of purchasing "listings" of foreclosures: That tragic situation is legitimate, but there's a competitive process that trained real estate investors go through to purchase the foreclosing property (bidding at a certain time and location, having cash on hand…). There are many high priced real estate courses that focus on foreclosures. We've checked a few out ourselves and found that while you will always learn "something," many operate on a system to get you excited about quick cheap foreclosure purchases, with hidden plans to get you to invest more and more money on more and more real estate courses and mentoring -- which is how they make their money. 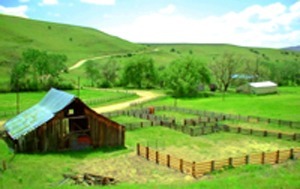 Finding acreage or a farm for sale via real estate listings: Two well-known places to find rural property or farms for sale are Ruralpropertyfinder.com and Landandfarm.com. The print publications Small Farm Journal, AcresUSA and Mother Earth News sometimes have listings in their classifieds. Relocate and rent first: If you know you want to move to a specific new location and eventually own a farm, long-time farmers often caution new farmers about rushing into buying land in new territory and acquiring debt right off. Some suggest you first just relocate and rent, and seek a position on another farm while you get to know the location better, including the geography, microclimates, water table levels, etc. That's how we found our farmland in the Pacific Northwest. Once there, you can plug into inside information. Start looking through local classifieds, local Craigslist, local farm store and cooperative extension bulletin boards for acreage or farm for sale listings, and ask around as you get to know and trust people. Land trusts, private estates, land-owning organizations: One of the micro goat dairies profiled on the Local Farm Living (Micro Eco-Farming) site owned just 3/4 of a rural acre which included their home and non-farmed front yard. They ended up leasing another half acre right next door from an absent wealthy land owner who wanted to hold onto the property, but wasn't using it for farming. The dairy owner sealed this deal on her own by letting the landowner know how well her goats would build up the fertility of her land. But many counties also have farmland trusts where rural property owners secure their land because they don't want it to ever be developed. To see if any trusts have farmland leads in your area, search "farmland trust" (or "rural land trust," "rural acreage trust," etc.) and "your county." There is also the possibility of stewarding a piece of land on schools, campgrounds, and for landowners who only show up on their land for the occasional holiday. This would either be a lease situation or a possible trade: You providing growing organic fertility for the land and a working farm for students, camp attendees, or the landowners' grandkids. Finding urban farmland: Urban farmers can also look into stewarding land from schools, churches, and so forth. Besides that, the two main ways urban and backyard farmers find farmland beyond their own property are to either work with the city government on securing vacant lots, or to do yard-share programs where the urban farmers farm the yards of various local residents, giving them a percentage of the produce while they get the rest to sell as an urban farm business. Finding such farmland would be a local endeavor, but growers can first study two successful models. The Capital Roots in New York began in 1975 and oversees nearly 50 urban gardens. Search for their story. Bkfarmyards.com is a great model for using yard sharing, schools and other under-utilized parcels of land in urban settings for farms. 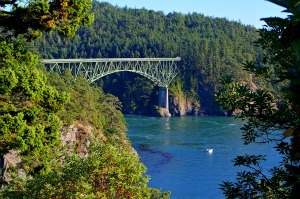 See story of rural and small town living in our own beautiful Pacific Northwest sunny bio-region! Micro Eco-Farming hub: How-tos for earning a full or secondary stream of income with sustainable micro-farming.